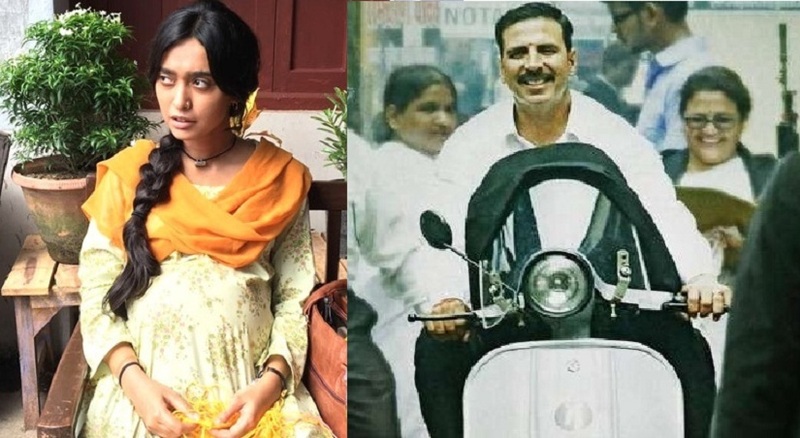 It’s not just Akshay Kumar, but the female characters in the satirical dark comedy drama, Jolly LLB 2, were also applauded. One such character was the wonderfully-nuanced cameo by SayaniGupta, who played Hina Siddiqui, a young Muslim woman driven to despair. It’s a small but pivotal and deeply impactful role, so much so that Sayani was lauded for her performance by some of the veterans from the industry. Twitterati in large numbers also poured their love for her. Gupta has so far been doing a balancing act between commercial and art cinema. She has received critical acclaim for her offbeat and distinctive roles in films like her debut Margarita With A Straw (played the role of Kalki’s love interest)and most recently Fan (as Shah Rukh Khan’s secretary), however, Sayani doesn’t take compliments or criticism seriously. “I have never sat down to ponder over what others have to say because ultimately you know what you have done. Piyush Mishra (theatre and film actor, NSD alumni) called me few days back when I was shooting for Jagga Jasoos, and said while referring to Jolly LLB 2, ‘I didn’t know you acted so well.’ Lot of people are complimenting me on social media as well. Somebody told me that they went to watch the film thrice because of me. There are lot of people who said I made them feel for the part and I made them cry,” says Sayani. Strangely enough, Sayani has been getting offers for horror movies for last few years and she, too, fails to understand the reason for it. “Maybe they think I am a Bengali, I have big eyes…” she laughs. While Sayani so far has rejected two offers post Jolly LLB 2 (as she is “choosy”, “instinctive”, “and not ready for it”), she is certainly excited about her first international project, The Hungry, which is an Indo-British production starring Naseeruddin Shah and Tisca Chopra. The film, for which the actors were very selectively chosen, is directed by debutante filmmaker Bornila Chatterjee, who is an alumnus from New York’s Tisch School of the Arts. The Hungry is an adaptation of William Shakespeare tragedy Titus Androcinus, which is believed to have been written between 1588 and 1593. Recently, Sayani earned an honourable mention for the Best Actress award for her short film, Leeches, at the Indian Film Festival of Los Angeles (IFFLA). In just two years of her career, she’s also bagged one of the lead roles opposite Naseeruddin Shah with The Hungry. The actress considers it her privilege to act alongside ‘Naseer’, who was her teacher at the FTII. So did Sayani take any advice from the two “coolest” men? “Some of the things Naseer told me is: ‘Learn your lines till you bump into a furniture. Know your lines backwards. Study the script well. Be relaxed and don’t take things too seriously. Make it fun and light.’ On the other hand, there’s much to learn just by the way Shah Rukh carries himself. He is the most technically sound actor, I feel. His understanding, the cleanliness with which he does everything, his craft is solid. He doesn’t show it. He is persistently hardworking and also the humility. He doesn’t take his stardom seriously,” she reveals. Sayani is currently shooting for Ranbir Kapoor-Katrina Kaif- starrer Jagga Jasoos which has been in the making for a long time. “When I signed the film I was playing the only narrator in the film. I had a separate track of my own. But since there is no script — Dada (Director Anurag Basu) doesn’t work with scripts, he writes as he goes along — my role has changed. I will know what my part is only after I see the film. Also, it is a very difficult film when it comes to format. It is musical, it’s a children’s film, and it is not a normal narrative. I play a 14-year-old girl and that is all I know (laughs),” she says.